Now that de Blasio’s made a pretty significant dent in his goal of building or preserving 200,000 units of affordable housing over the next decade, there seem to be more middle-income housing lotteries opening, in addition to the influx of low-income lotteries that began popping up with a vengeance at the end of last year. 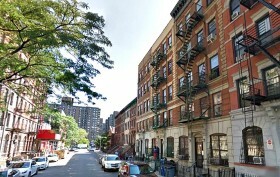 The latest offers 36 newly rehabilitated units across five Harlem buildings, running from the border of Morningside Heights at 116th Street up to 138th Street. They’re priced between $1,156 for studios, $1,562 for one-bedrooms, $1,591-$2,611 for two-bedrooms, and $1,831-$3,009 for three-bedrooms.